Razer and Sensic's open source virtual reality initiative hasn’t garnered a lot attention compared to the Oculus Rift and HTC Vive, but OSVR has been quietly making progress and today is getting a major upgrade. The second generation Hacker Development Kit, or HDK 2 for short, is moving from a single 1080p screen to a pair of 2160 x 1200 resolution OLED panels with a 90 Hz refresh rate. Those specs are on par with what the Oculus Rift and HTC Vive offer. 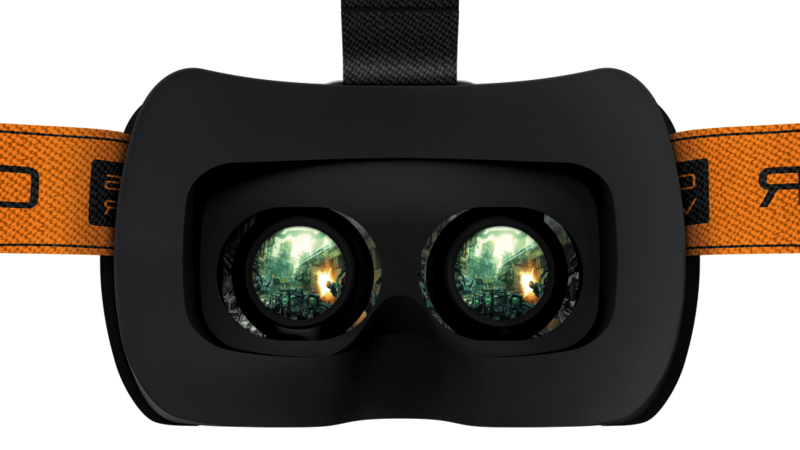 It also comes with a 100 Hz IR camera for positional tracking, individual eye focusing with the dual-lens system, and an image quality enhancer that promises to reduce the VR screen door effect. It doesn’t ship with controllers but it can work with a standard game pad and OSVR hopes to support things such as hand tracking through compatible accesories. Razer claims it is also working on supporting room-scale VR but at least with the current hardware that doesn't seem possible. The new headset will go on sale in July for $399, significantly less than the Oculus Rift and HTC Vive. In terms of software, the whole point of OSVR is that it's hardware agnostic, so the HDK 2 will support games and software from the Steam library. “We are on a mission to democratize VR by offering open, affordable, high-performance software and hardware solutions with nearly-universal device and game engine compatibility,” OSVR cofounder Yuval Boger says. Controller Any OSVR compatible VR hardware, Any PC compatible gamepad. Oculus Touch, Xbox One Controller or any PC compatible gamepad. Lighthouse controllers, any PC compatible gamepad.